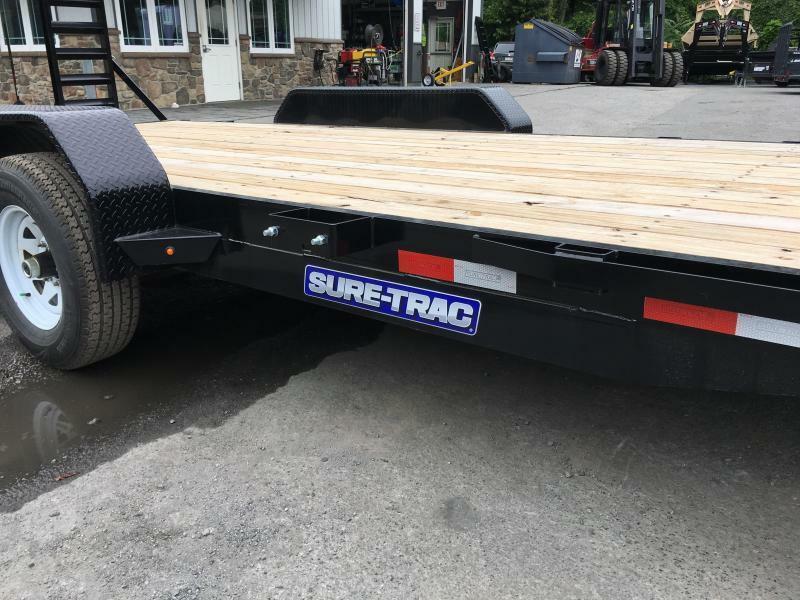 Implement Trailer - The Sure Trac Implement series equipment trailer is a very common model for moving various types of equipment. 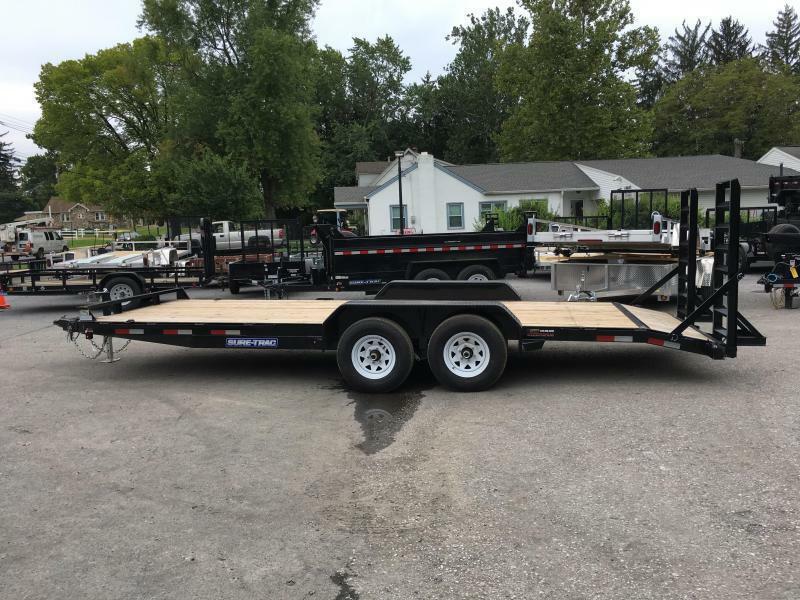 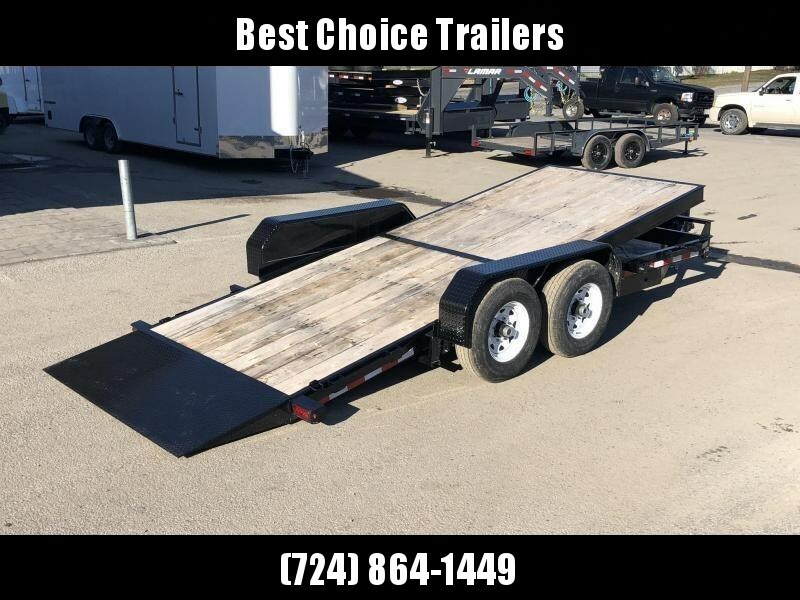 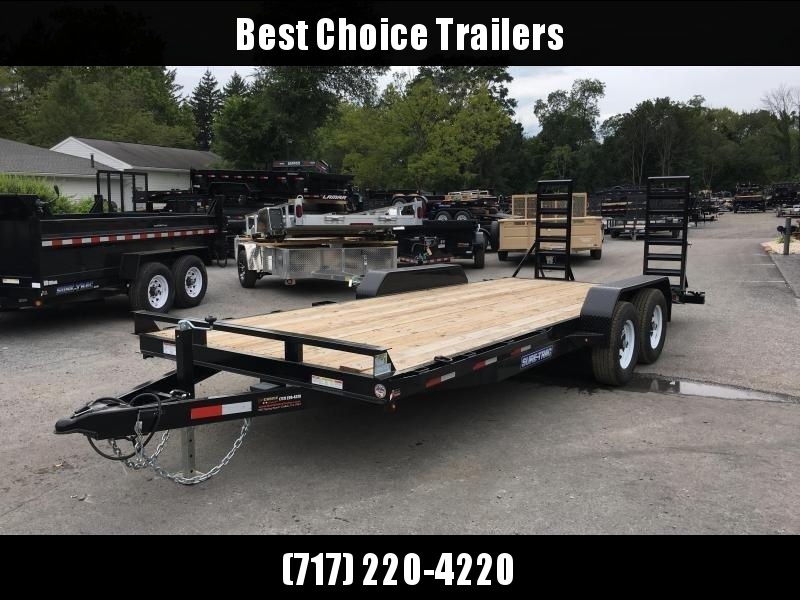 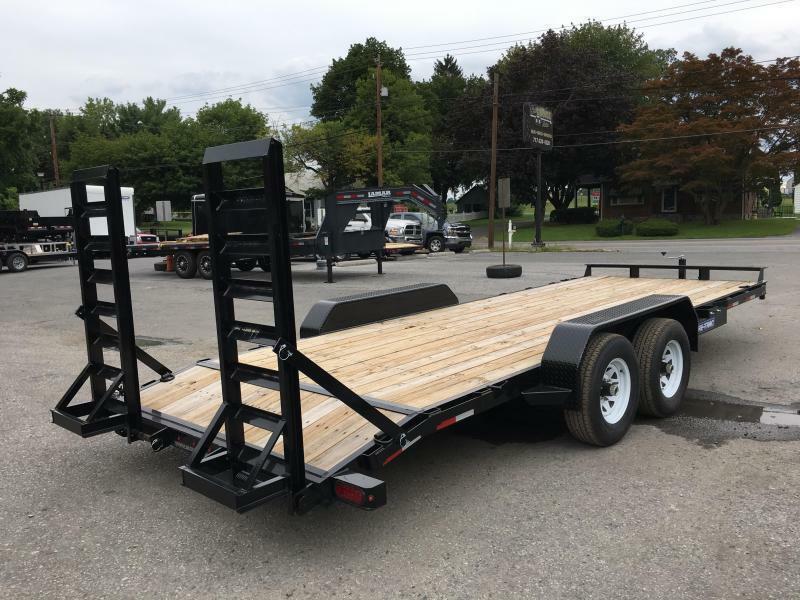 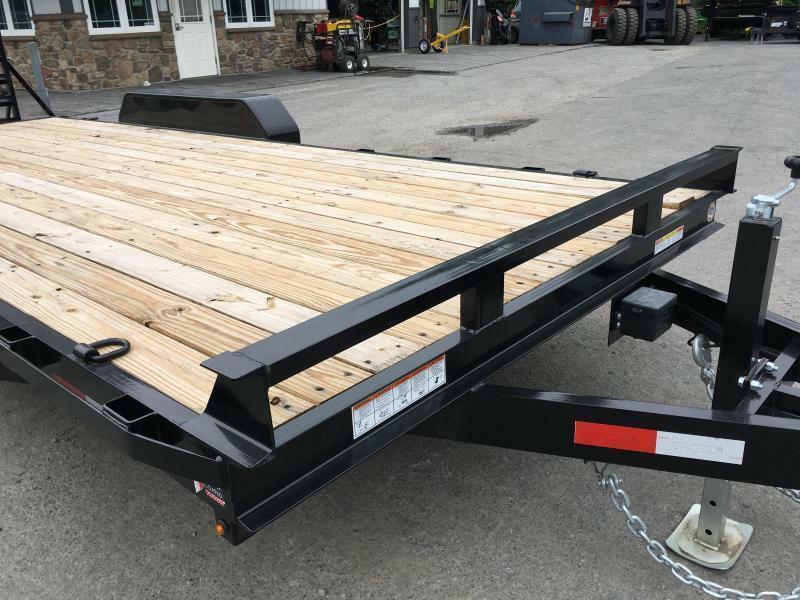 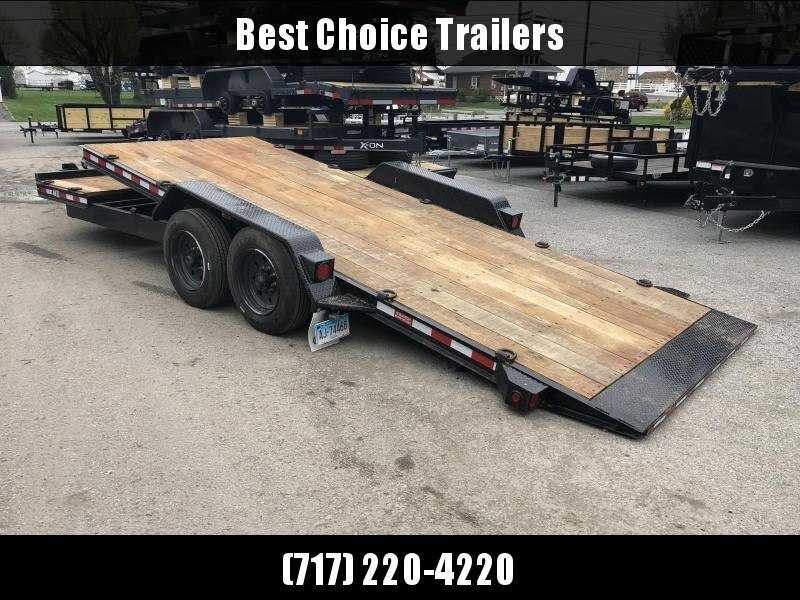 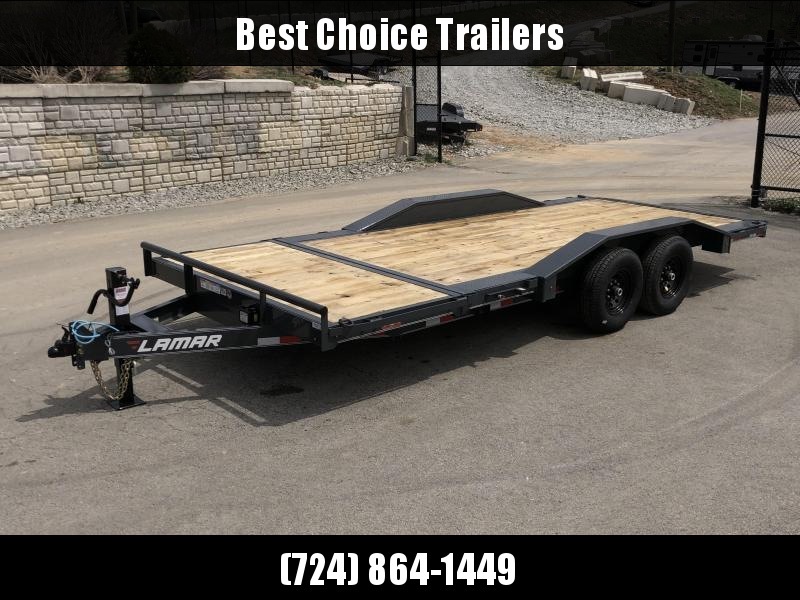 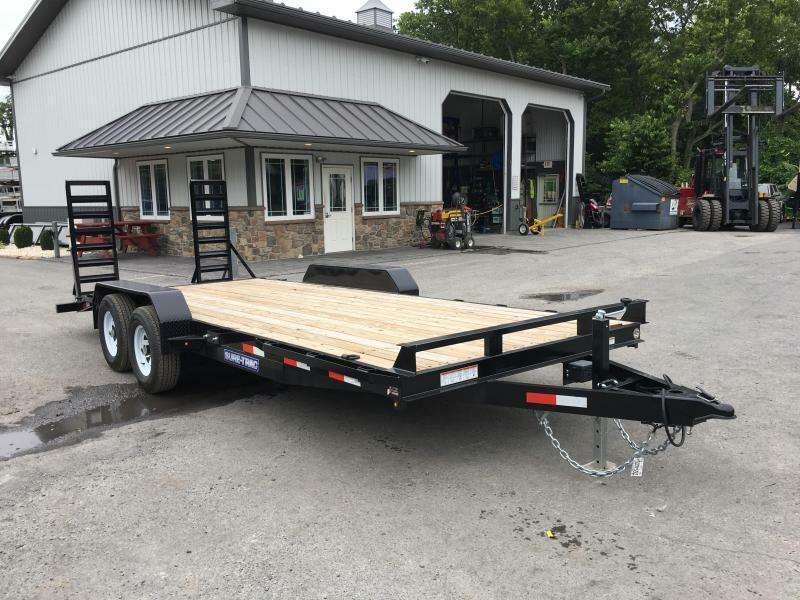 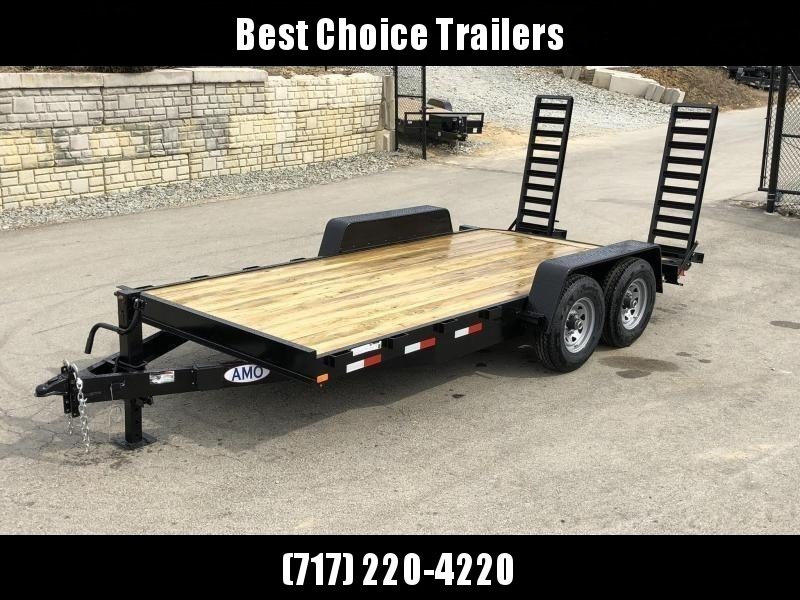 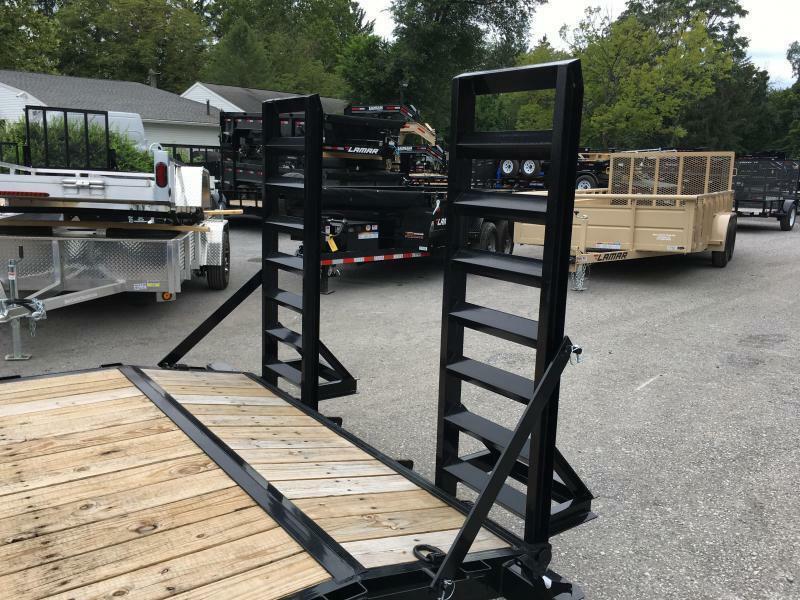 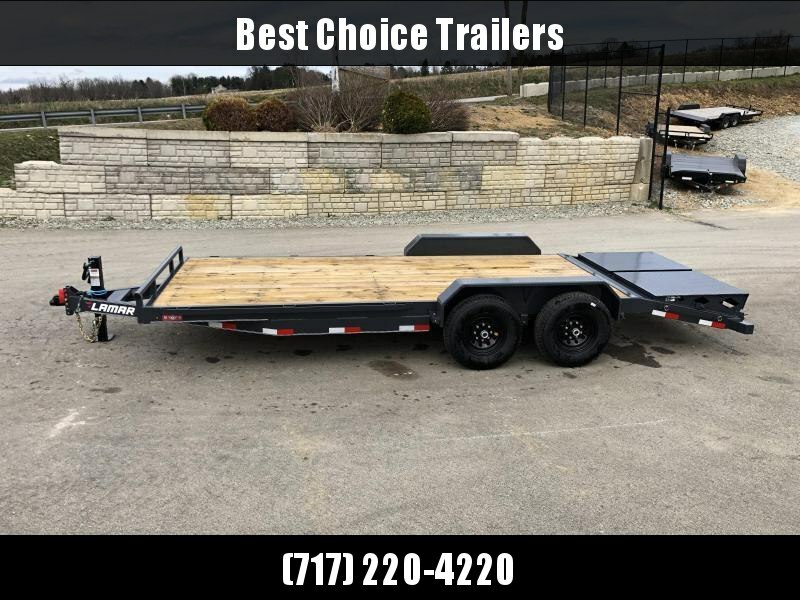 The implement trailer is a bit different than the skidsteer model, most notably in frame design, and it includes a beavertail, making it ideal to load more than just equipment. 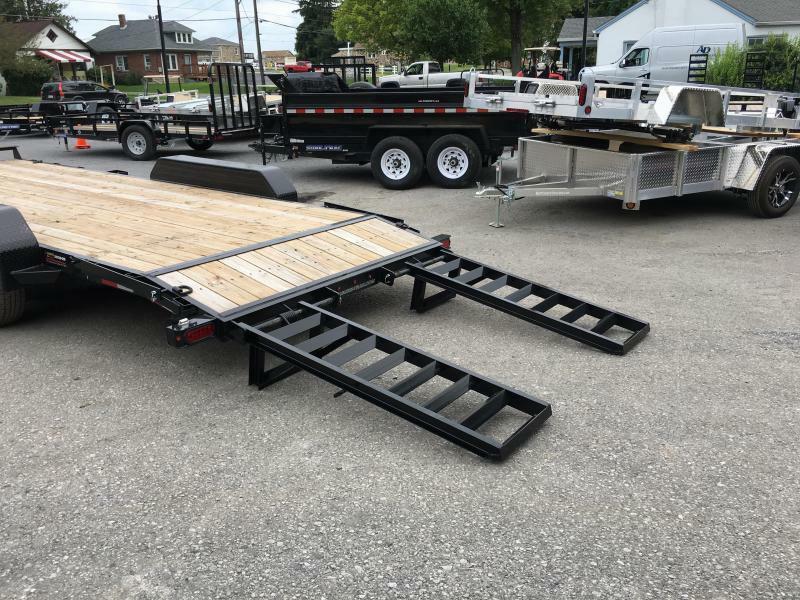 The Implement series comes in several sizes and weight rating. 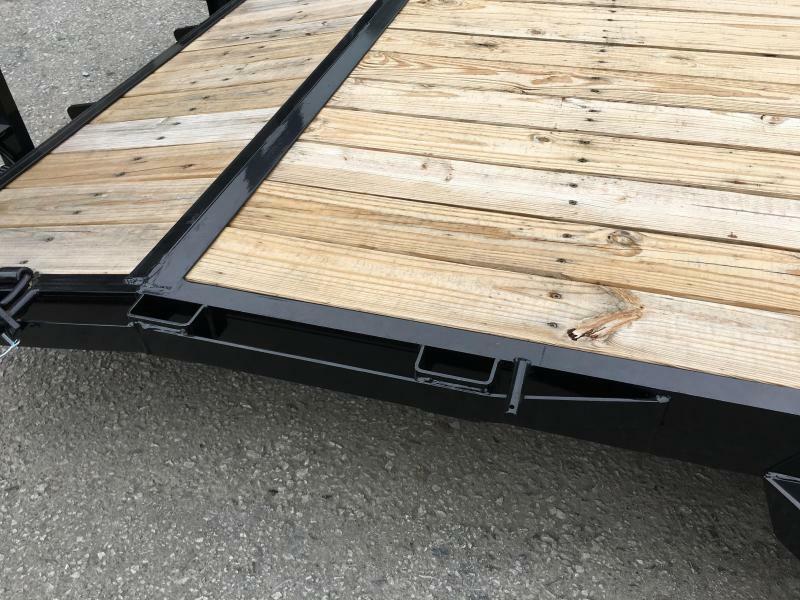 The most common sizes are 7x16' and 7x18'9990# GVW, a 7x18' and 7x20' 14000# GVW, and a 7x20' 16000# GVW. 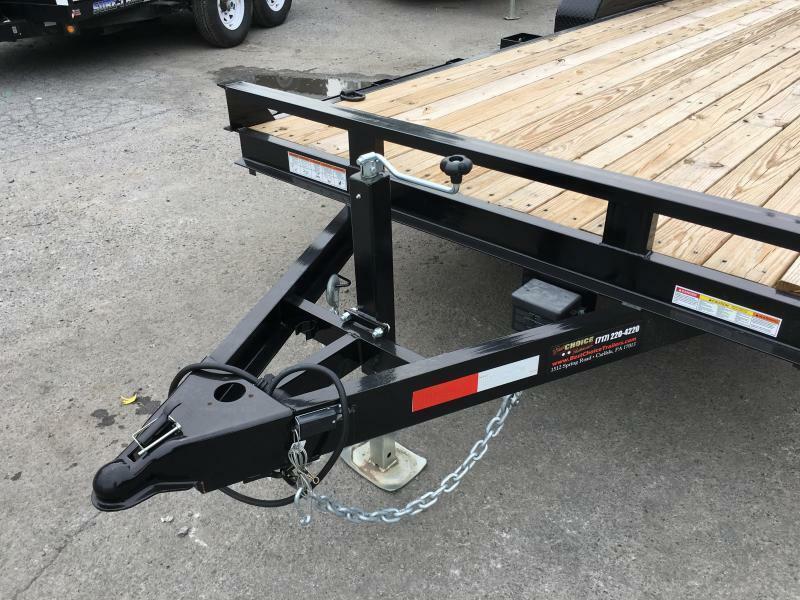 The 9900# model is ideal for loading most compact tractors, small to mid-size bobcats, and other similar equipment, and minimum recommended tow vehicle would be a AÂ½ ton truck. 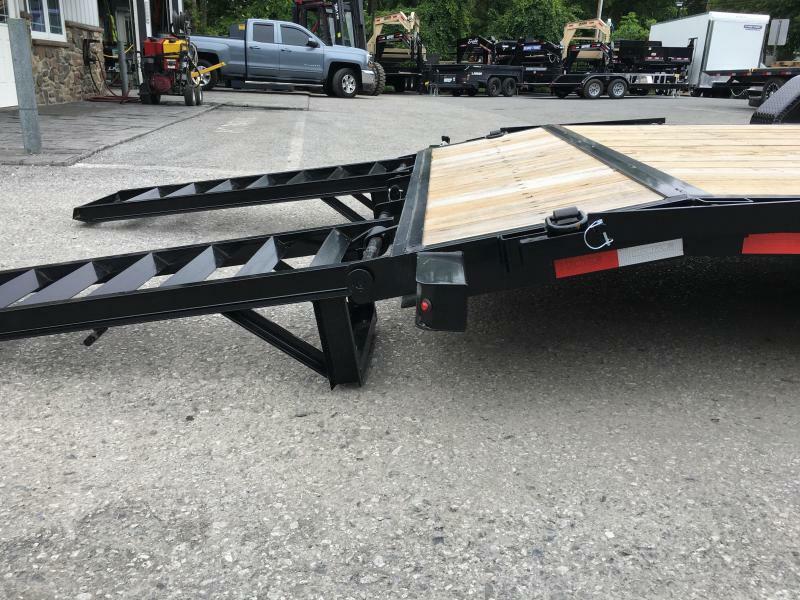 It features a 5" frame, and eye-to-eye suspension, and has a payload with tongue weight of about 8000#, making it ideal for light commercial use. 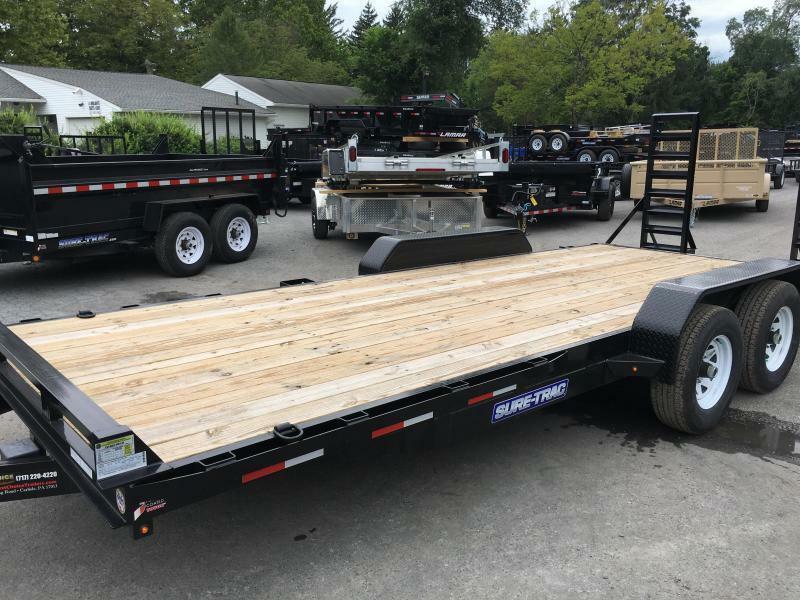 The 14000# model can handle most all bobcats and mini excavators, and recommended tow vehicle would be a AÂ¾ or 1 ton truck. 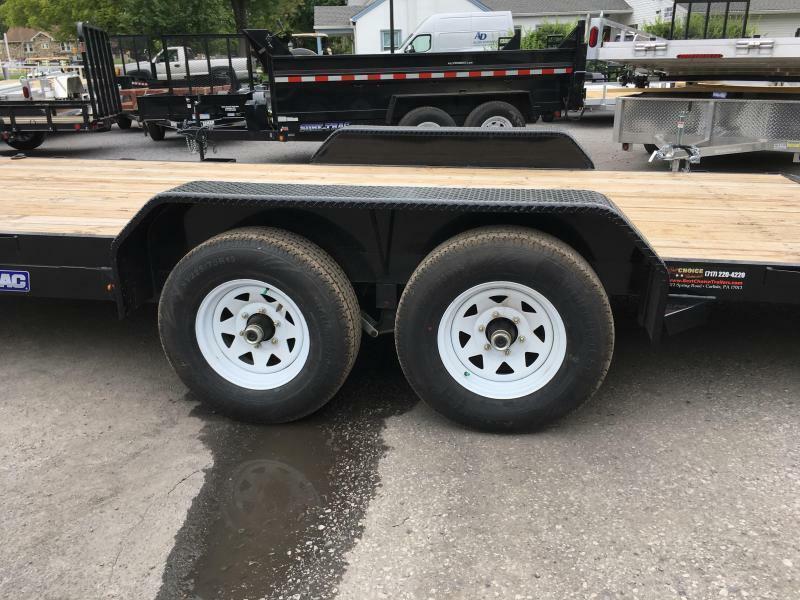 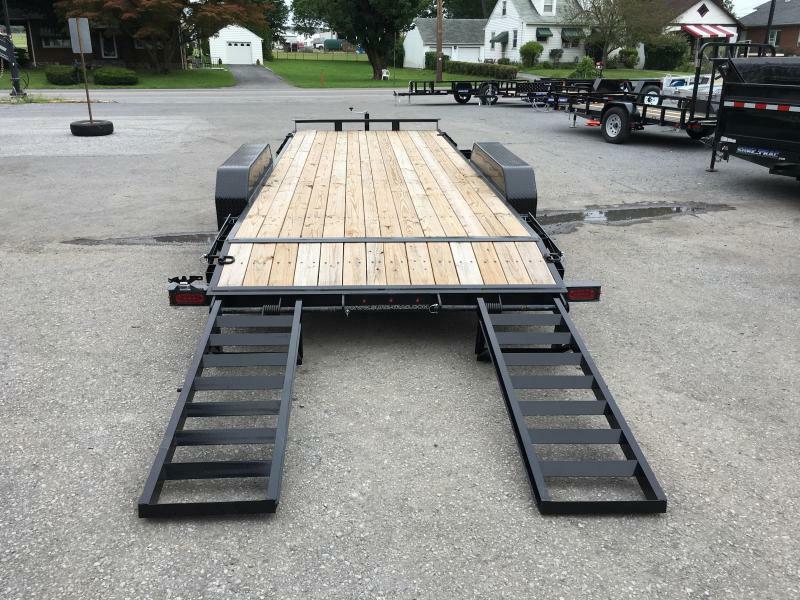 It features a 6" frame, and slipper suspension, and has a payload with tongue weight of about 12000#, making it ideal for medium duty commercial use. 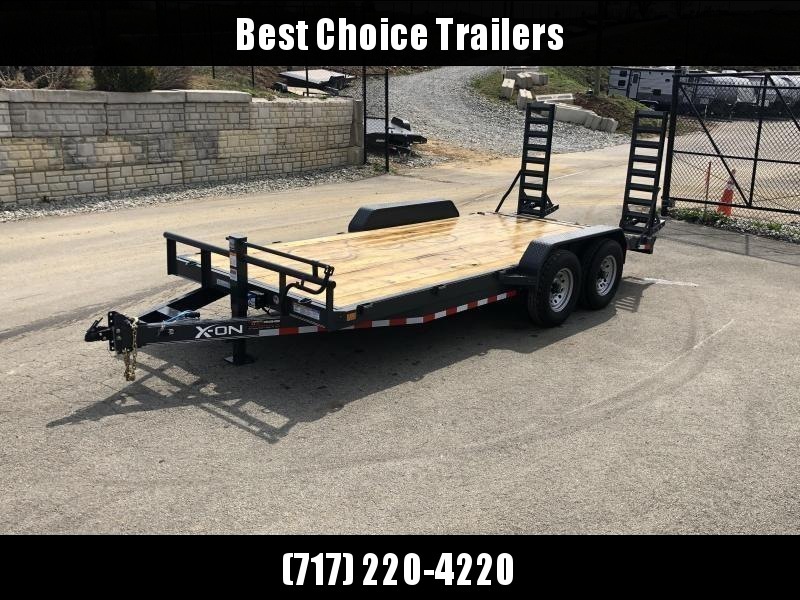 The 16000# model is recommended for anyone that either needs additional payload, or would prefer improved brakes/tires/suspension (8K axles provide the same braking as a dual tandem on a small/lighter chassis). 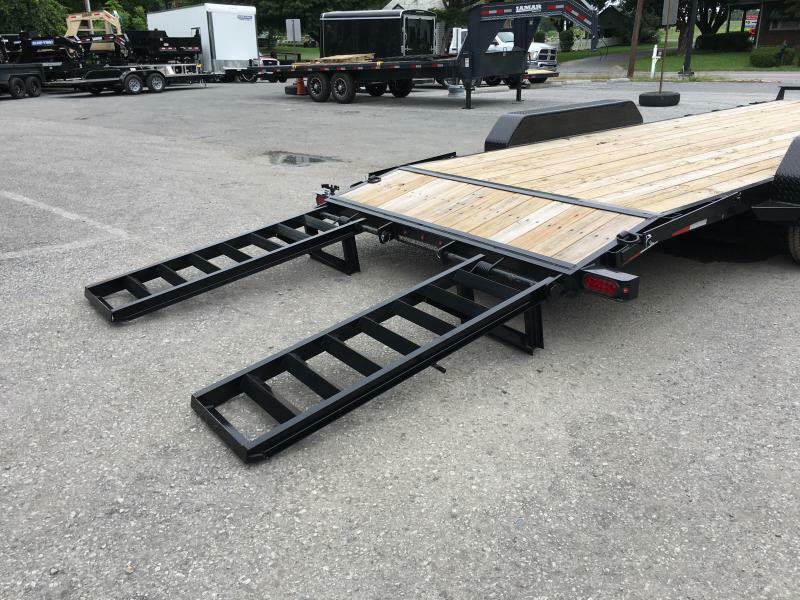 The 16K upgrade includes a beefier 8" channel mainframe, 4" crossmembers and 4" channel ramp, upgraded jack and HD front coupler noseplate. 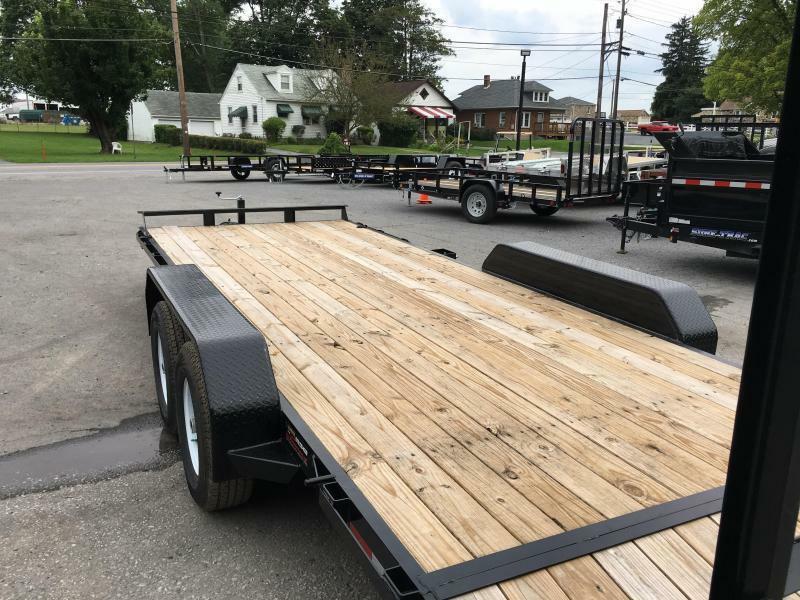 Sure Tracpowdercoats all of the models with one of the most durable finishes in the industry. 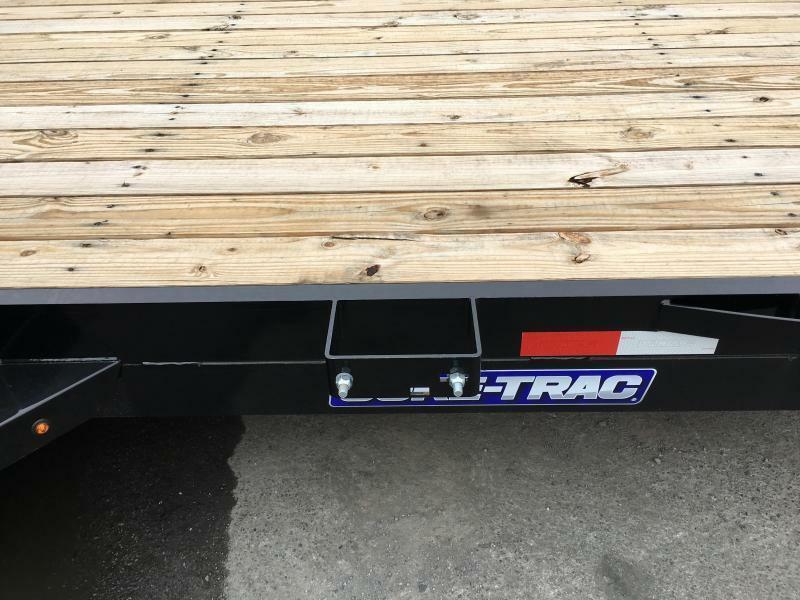 -Structural channel crossmembers (All Sure Trac equipment trailers use a structural channel floor crossmember. 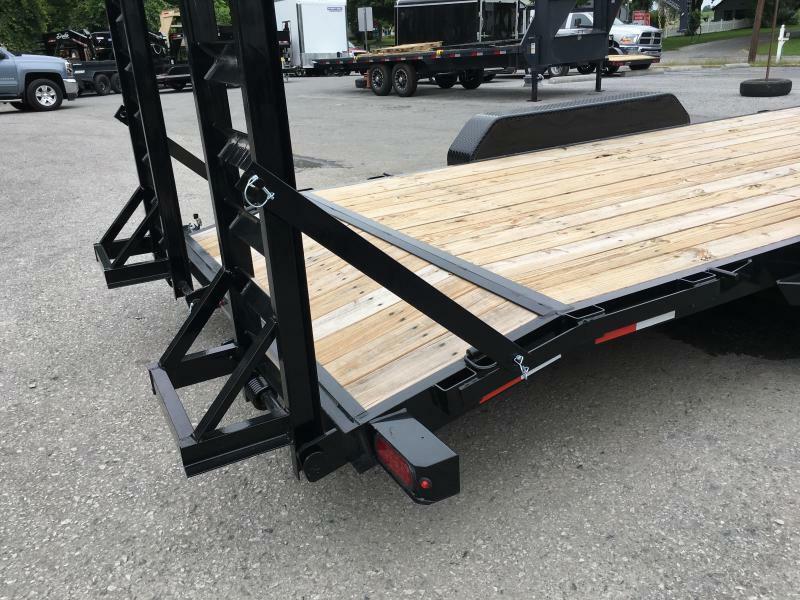 Structural channel provides one of the strongerssubframes in the industry while many are now using a lighter formed steel floor crossmember).